ISBN 0634096818. 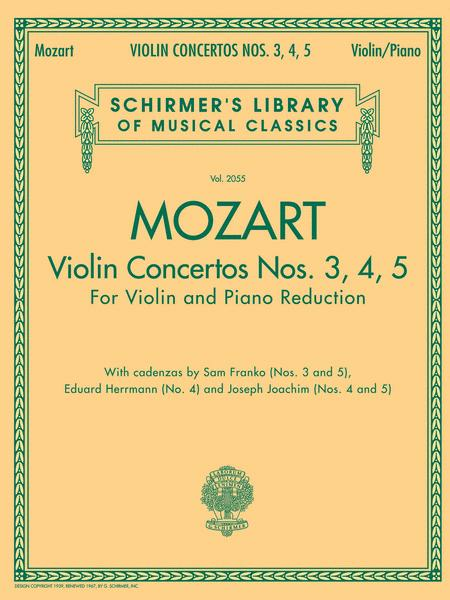 This convenient publication in Schirmer's Library of Musical Classics collects Mozart's most often-played violin concertos in one affordable volume. By Arthur Grumiaux, London Symphony Orchestra, New Philharmonia Orchestra. By Wolfgang Amadeus Mozart (1756-1791). Listening CD (2 discs). Published by Naxos (NX.4383232).